Which brand of KLM LED‘s Lamps? Can I use a dimmer? Yes, a dimmer can be used on most recessed lighting. Line Voltage recessed lighting can be dimmed with a standard incandescent dimmer. While Low Voltage recessed lighting will be dimmed with either a Low Voltage Electronic or Magnetic dimmer. The type of transformer (Electronic or Magnetic) used in the housing will determine which type of dimmer you need. KLM Lighting all lamps matched Silicon Dimmer Control. Lamps MOQ: 100pc/CTN, but we also can accept small order <100pc. You may purchase different lights to test and see the colors and styles. If you are a contractor, designer, electrician and would like to purchase samples , please send to us a email. Bulk order delivery time: 5-7days. 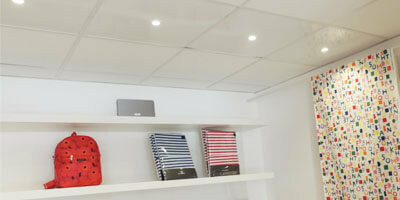 Do you have warranty for KLM Lighting products? Yes, we have 3-5 years warranty for different kinds of products. Can print Logo on lamps and package? Yes, we can supply FREE SERVICE for you! Does KLM Lighting have ability to do OEM products? 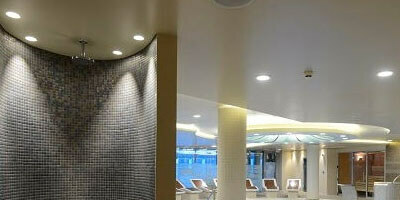 In the past years KLM Lighting has gained a lot of work on OEM of LED lighting and LED strip lighting. And thanks to these works, we gained a lot of valuable OEM experience. We will still strictly follow the principal that we won’t disclose or sell customer’s unique designs to any other third party. We currently have cool white, warm white, natural white and RGB. We also can supply Customs Service for customers. What’s the difference between CFLs and LEDs? 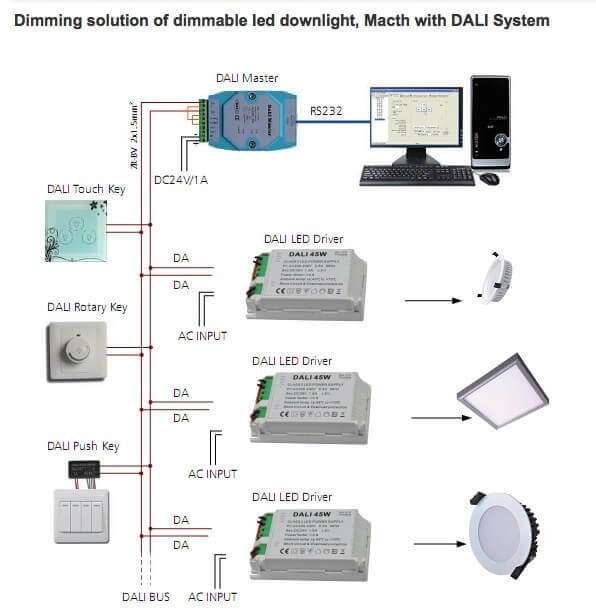 Dimming solution of dimmable led downlight,Match with DALI System. 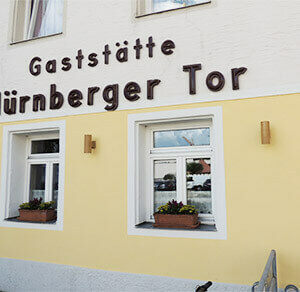 What is the difference between IC vs. Non-IC rated housing? IC rated housings allow insulation (either laid in or blown in) to be installed on or around the housing. Non-IC housings require that insulation be kept at least 3″ away from the housing at all times. Can recessed lights be installed in a bathroom? Yes, recessed lighting trims and housings are suitable for damp locations (porch or bathroom) using any trim. Wet locations, above a shower or outdoors, require the use of specific wet location trims. Like our ip44 LED downlight it is belong to waterproof type. Are the KLM Lighting Downlights dimmable? 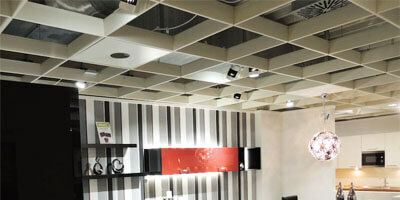 Yes, we recommend specific styles of dimmers for the LED Downlights. Also other led light,like bulb/candle/spot etc., can do dimmable too. I’ve always used 60-watt incandescent bulbs, what do I buy now? 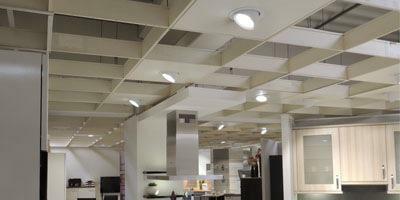 I want to replace all the lights in my house / office / garage / warehouse / carpark with LED lights – what types of light are available in LED? Virtually every type of standard Incandescent / Halogen / CFL / High Pressure Sodium lamp is available as an LED Lamp. If you can’t see what you’re looking for please ask a member of staff so they can assist you in your selection. Some items may be special orders items which will result in a limited delay in getting the lamp to you. Lamps ring or body color can have more choice? Normally speaking, more like led downlight,led candle bulb etc lamps ring cover & body color all can choose Sliver & Golden. When you need to other colors,please contact us for confirm. 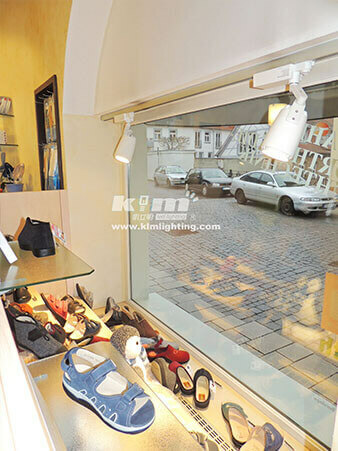 KLM led downlight / led gimbal light all can supply standard AU/EU Plug for your choose. The plug cable long size also can be customized, of course have black & white color for your choice. LED downlight can be with waterproof driver? Like KLM Lighting IP65 SMD5630 Waterproof Downlight, some customers will request matched Waterproof Driver. Of course, we can supply it,when your order ,please let’s us know. 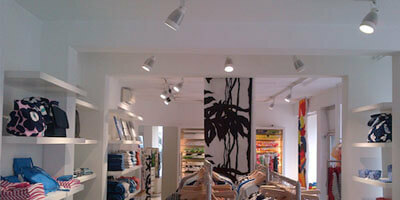 KLM Lighting can supply which dimming type? 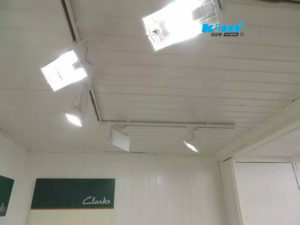 KLM all lamps can be supply Triac ,0~10v , DALI dimmable type. How about led lamps with Neutral package? For small order quantity Lamps with white neutral package. Customized IP65 Waterproof LED Wall Light Color. 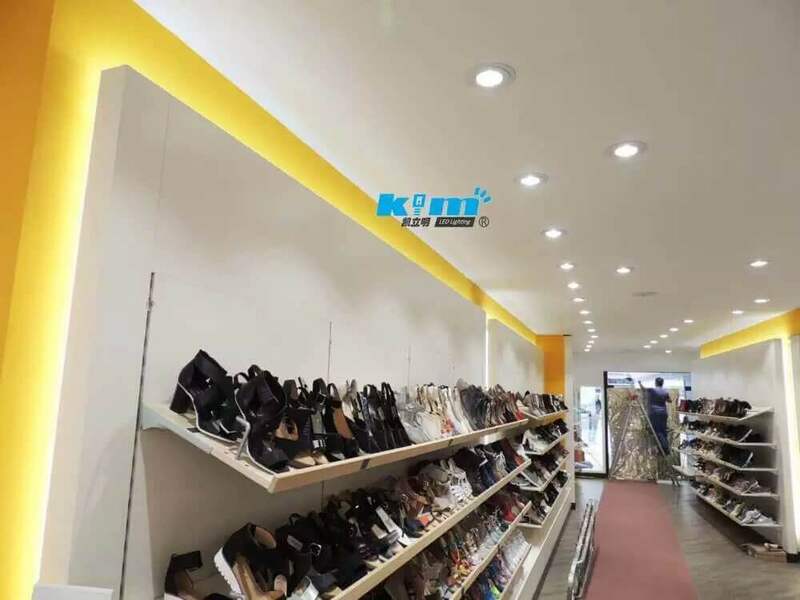 Led ceiling light for shop decoration. 20w 30w Square LED track lighting project for showroom. G24-4PIN Led Corn Light effect for flood light. ”Best seller ! Recommended 10 stars for communication and service ! 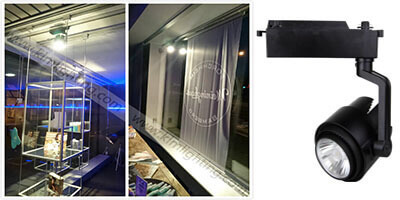 “ – CREE Led Track Light for barber shop. 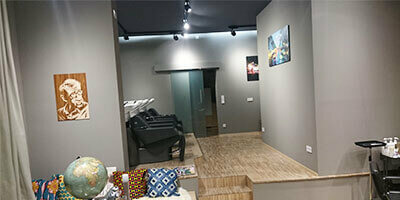 Recessed Gimbal LED Downlighting Kit application for Furniture shopping, Bought second time. Fantastic value for money! I could not for the life of me find a high quality LED IP44 30W SMD Downlight any where else Friend told me to email Quentin from KLM Lighting and order at least a sample. With the friendly service and good quality product we ended up buying 22. Thanks KLM Led’s.